Rock’n’Roč already sounds like fun and excitement and… well, it is! Hidden under the Karst plateau, this small crag offers phoenomenal views of Istria mainland. It’s not as known as many of its bigger neighbours, so you can often be alone here. Sunny, southern exposition is another bonus. 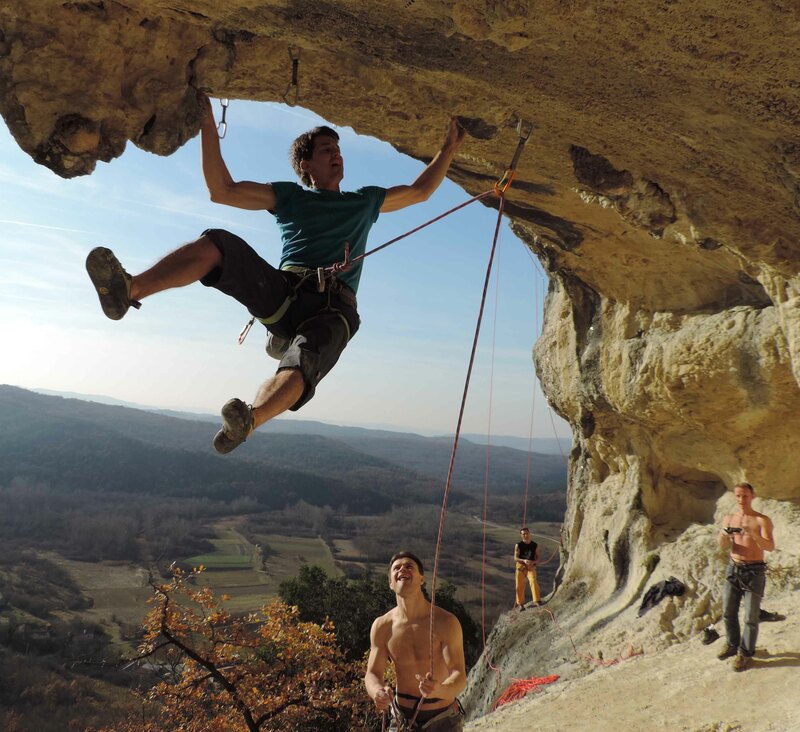 The crag has routes from 5c to 8c… but mostly there’s just one route for each grade. We plan to bolt a few more easier ones in the future, and there are some harder projects still, but it will always be a small, hidden area. 8a afficionados can spend the day here, but for all others it may just be a perfect morning warm up (or evening winding down) before moving to, for example, Kompanj. Some people like the views so much, we decide to stay there and move a few steps to the west, to the aptly named Sunset rock. It’s got a bunch of 6s and 7s, which are a bit shorter, but very fresh and sharp. If you want even fresher rock, there’s also the Hollywood sector, which has the least routes and the most potential… We’ll see what the future will bring.